When Droga5 sold a 49 percent stake to Hollywood talent agency William Morris Endeavor in the summer of 2013, there was plenty of speculation about how each side might leverage the other—how WME could use Droga's marketing prowess, and how Droga might employ WME's roster of entertainers. Since then, they've collaborated many times on a number of projects, from the marketing of Kendrick Lamar's music to a unique campaign for The Martian—starring WME client Matt Damon—that prominently featured Droga5 client Under Armour. Naturally, Droga5 also found brand-new clients through its WME connections. Beyond campaign synergies, though, there has been the question of whether and how Droga5 might bring its formidable marketing skills to bear on particular celebrities' personal brands. And as it happens, the agency has began doing just that—for about two years now—for WME client Dwayne "The Rock" Johnson. Droga5 helped the actor and former professional wrestler strike an endorsement deal with Under Armour. But that's the kind of straightforward development you'd expect. It was actually part of a broader, more interesting journey that Droga had embarked on with Johnson—one that led to the launch this week of Project Rock, a new motivational lifestyle brand, fronted by Johnson and meant to embody everything he stands for, that will be both aspirational and product focused. 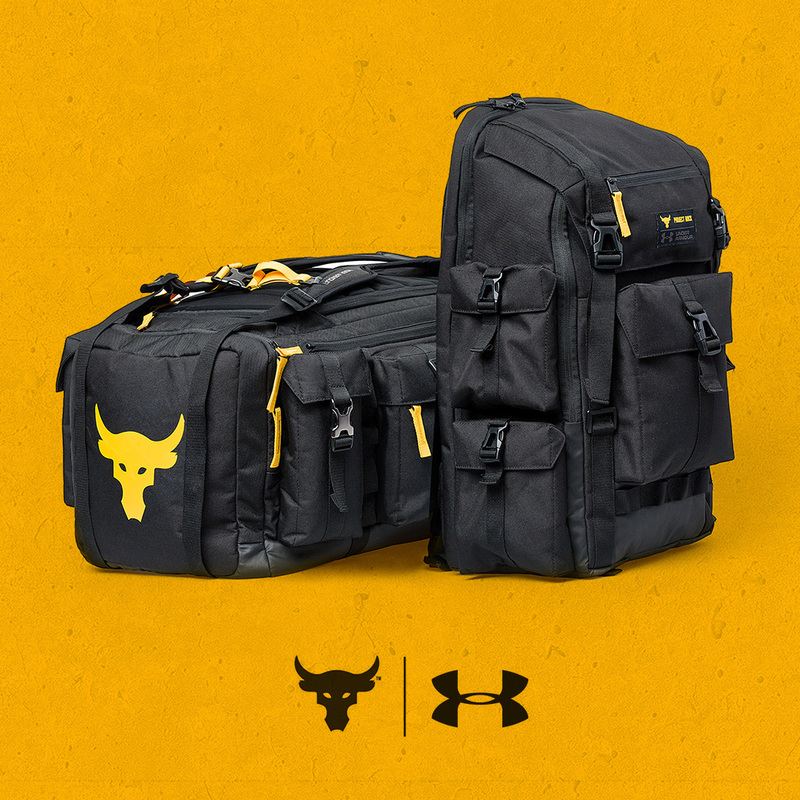 Project Rock launches with a single product—heavy-duty Project Rock bags manufactured by, yes, Under Armour. A backpack sells for $99.99; a duffle bag is going for $124.99. Johnson announced the bags, and the larger Project Rock initiative, with a video in his social channels on Thursday. "We are all a project, every single one of us," he says in the video. "We all have hopes, dreams, goals, aspirations. 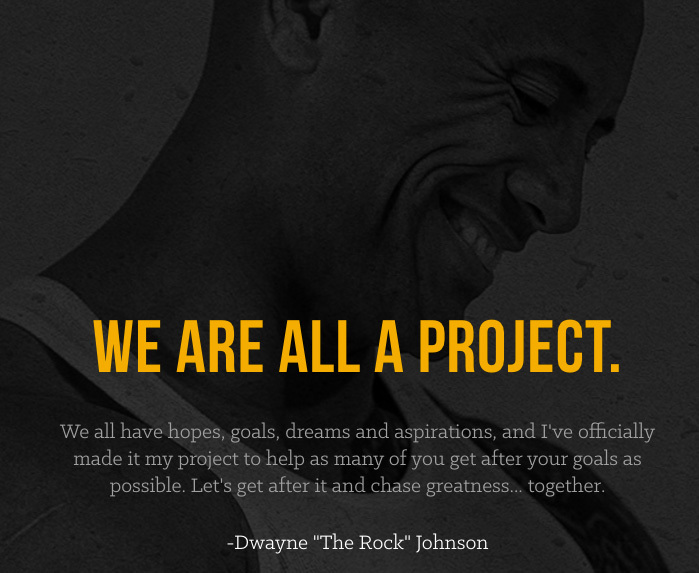 And I have officially made it my project to help as many of you as possible get after your goals. This is Project Rock." The Under Armour bags are just the beginning. Project Rock is expected to eventually sell a range of products all linked by a general theme of motivation and self-improvement—traits that Droga5 determined were at the core of the Johnson brand after studying him for months, the same way it would research any consumer product. "We applied the exact same strategic rigor to Dwayne that's usually reserved for our traditional brands," Matt Gardner, Droga5's director of brand influence, tells Adweek. "We started with dozens of interviews with members of his team, managers, agents, his writer, publicists, friends. And then we actually did a series of focus groups, polls, social media monitoring—stuff like that. We got really down and dirty. We went to Craigslist. We went to SurveyMonkey. We went to fans and nonfans, all to get at the core driver of what makes a Dwayne Johnson fan." Those who don't know Johnson well might see a guy who is, first and foremost, physically strong and imposing. (He was, after all, a national championship winner on the 1991 Miami Hurricanes football team.) But physical prowess, as much as it's part of Johnson's image, isn't really the core of his appeal, Gardner said. "He's super strong physically, and that's a big thing," Gardner said. "But what we discovered was there is this underutilized or latent truth about him that drives fans close to him—that he's an emotional motivator. He has this determination, motivation and really pure hard work that people love. We realized that to be a true DJ fan and have a real connection with him, there's this emotional core." His longtime fans already knew this, of course. To develop new business opportunities, Johnson had to find a new audience. And it just so happened that this natural ability to be a great motivator fit nicely with Millennials—whom Gardner said are aspirational but often have a hard time following through on things. "We looked into all this data that shows that when it comes to helping, when it comes to working, when it comes to doing good for the planet and for the environment, Millennials value these things, but they really don't act on them very much," Gardner said. "They would rather post an inspirational meme than actually act on those goals." Thus, Johnson could perhaps help them act on their principles, not just value them. "The opportunity was to position DJ as a motivator, and we really got to this brand purpose, which is giving that young target audience the strength to walk the walk," Gardner said. "What was amazing was … here was a person, not a brand. And we gave him a brand purpose. We'd never done that for a human being before." This whole process started back in 2014. 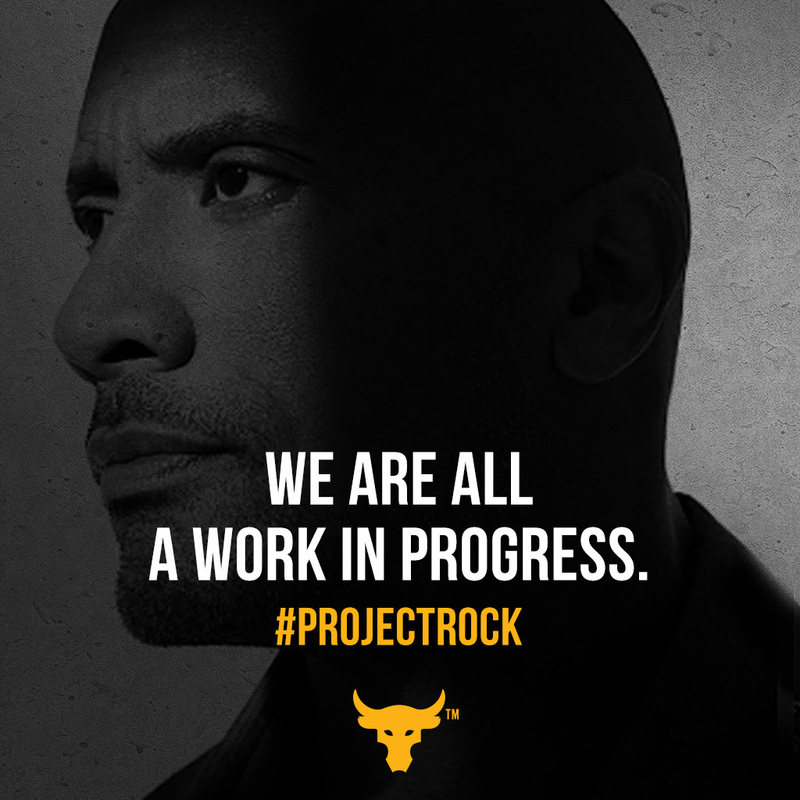 By early the following year, the Project Rock idea was well into development, though it would be delayed several times as Johnson focused on Hollywood projects like his hit film San Andreas (which hit theaters last May) and HBO show Ballers (which premiered last June). Johnson was shooting and unavailable for an interview for this story. But in late 2015, he sat on a panel with WME-IMG co-CEOs Ari Emanuel and Patrick Whitesell at Fast Company's Innovation Festival, during which he credited Droga5 for its insights into his personal brand. "What they did, which they do so well, is they did an incredible deep dive of research into me as a brand, as an enterprise," he said. "It's almost like a deep dive, and then going 50,000 feet into the air. Just doing this global research: 'Here's where you're strong, here's where you're weak, here's where you need to get better, here's a future, here's where we sit right now, in every single territory around the world.' Take the movie business out of it, by the way. 'This is how you're looked at. How do you want to approach this?' "
Johnson's agents at WME, Jason Hodes and Brad Slater, tell Adweek that Droga5's branding proposal made sense because Johnson's motivational side is real and authentic, not a pose. "I think he is one of the few, if only people who is uniquely situated to do something like this, because of the way he lives his life and the way he inspires people," Hodes says. "He is a true motivator, and he can rally people and get them to a place. If you've followed him on social media, you get some of that. So this is right on brand for him, and he'll do it in a meaningful way." "I've represented him a long time now," adds Slater. "And there are many mornings where I'll wake up to a motivational text from him. Literally I'll wake up, I'll look at my phone, and the text will say, 'Go have an unbelievable Friday, my man. Finish the week strong!' That's who he is. And so I know that as Droga found out more about him, that's such a big part of this. And that's why we feel like this is going to be a totally authentic thing." Under Armour bags might not seem intrinsically aspirational, although future Project Rock products could be more explicitly motivational and playful in their form and function. 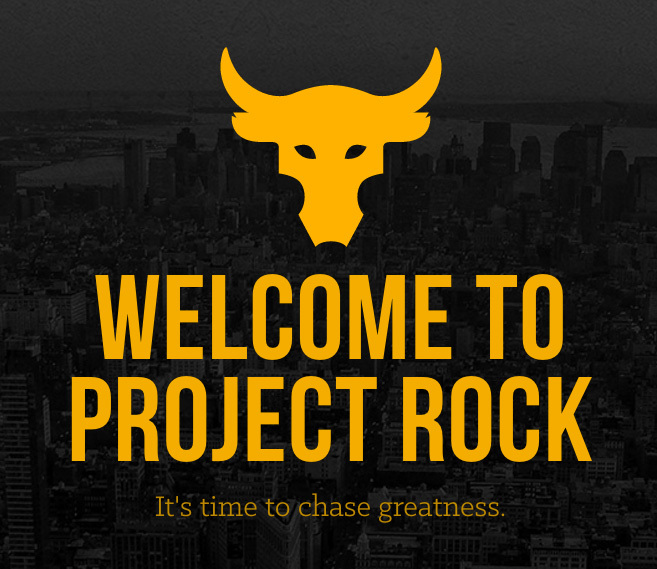 Project Rock certainly lends credence to the idea that a person can be marketed like a brand. But are there limits to that? Both Droga5 and WME acknowledged that Johnson is fairly unique, and perhaps better suited than most celebrities to an exercise like this. But they wouldn't rule out similar projects for other WME stars in future. Gardner, though, admits there are some differences in marketing people versus products. "I think you have to be more careful with products," he says. "I think that people, as long as you stay true and authentic to who they are and what they really love, you can't really go wrong. With products, there's a lot on the line. You have to make sure you're not overselling, that you're not promising something you can't deliver, that you're not being disingenuous. With people, as long as you bring out what they love and what's true about them and what they're passionate about, it can be very compelling."